Stainless steel AISI 304, pipe frosted (glass jets), 1/2', 1'. 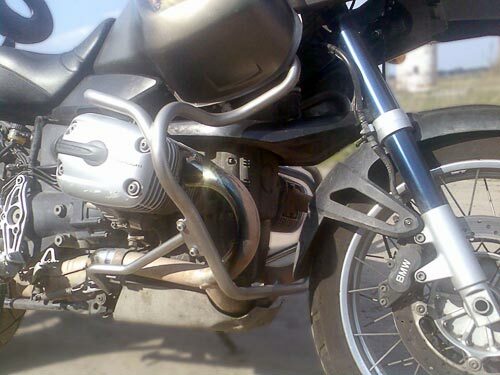 The main function of motorcycle crash bars - this motorcycle engine protection in case of a fall . It's no secret that the fall motorcycle not equipped with safety arcs , are fatal motor damage , and repair and replacement of parts not require small cash investment. In addition to motorcycle engine arc / slider , depending on their structure can protect and other expensive parts motorcycles - whether plastic elements , radiator, gas tank , turn signals and other spare parts . Rollover attach the bike and elegant appearance , studies have shown the International Motorcycle Manufacturers Association , protect the feet of a side collision rider Motorcycle passenger car. In addition to the arcs easier to pick up the bike , especially if it is a curb weight of over 200 kg. 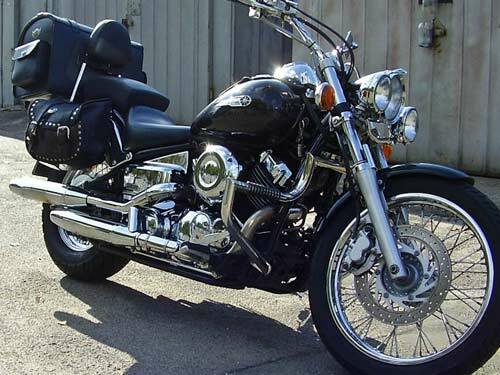 Taking into account all vyshenapisannoe , we can say with certainty that the rollover bar - originally the most necessary accessories for a motorcycle. 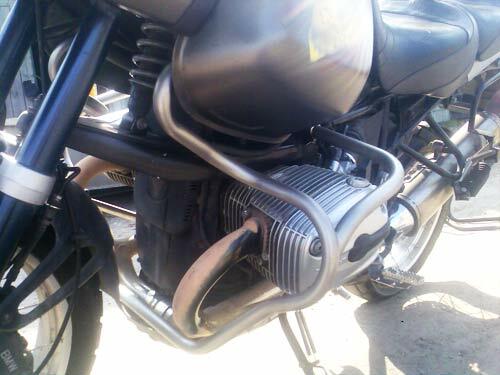 More motorcycle crash bars on a motorcycle made to order. 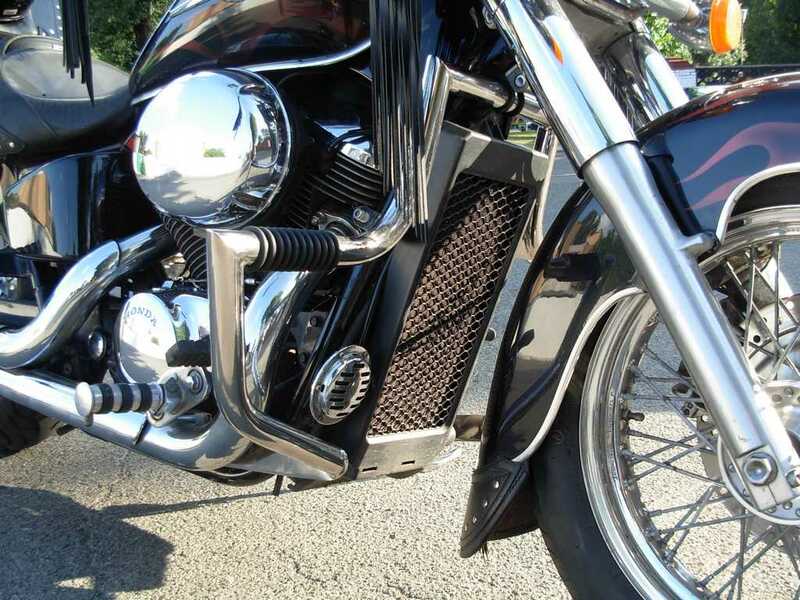 On the site you can see the most rasprostanenie crash bars and order them by contacting us. You can also buy the crashbar on your motorcycle (Honda, Suzuki, Yamaha, Kawasaki, Harley Davidson, Victory, BMW ...) or other items simply by calling us on the contact details.If you have not found the item on our website, just call us and we will provide you with all the necessary advice and deliver your desired body kit on the bike as soon as possible. 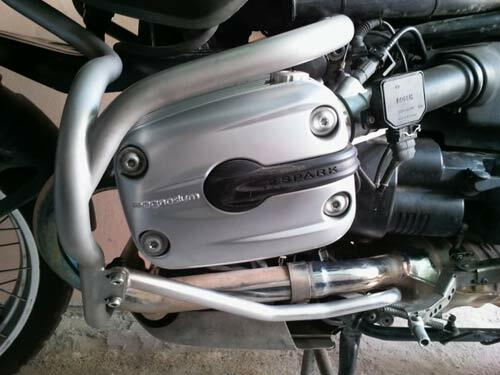 And if you're traveling by motorbike BMW 1100 to us, we promise to make the product you are interested in your presence for a maximum of 24 hours. Toist arrived on Saturday morning, in the evening you can go with crashbars or trunk with backrest.